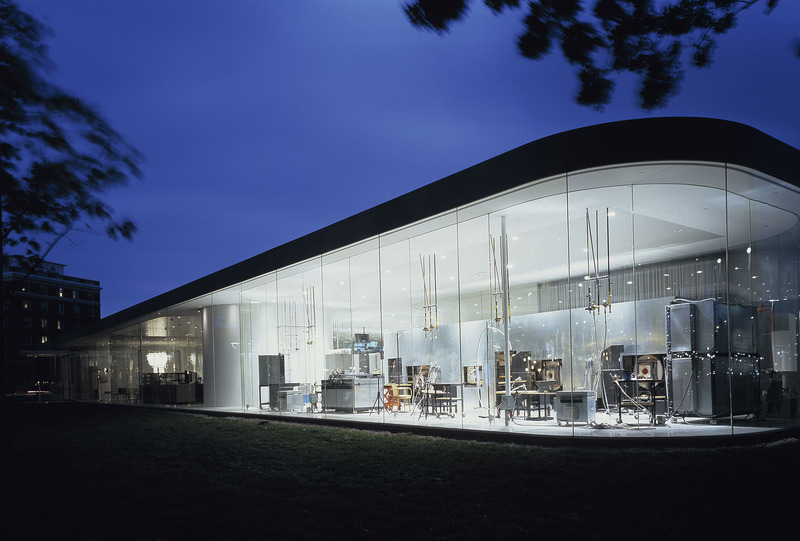 Kazuyo Sejima and Ryue Nishizawa, SAANA, Ltd. 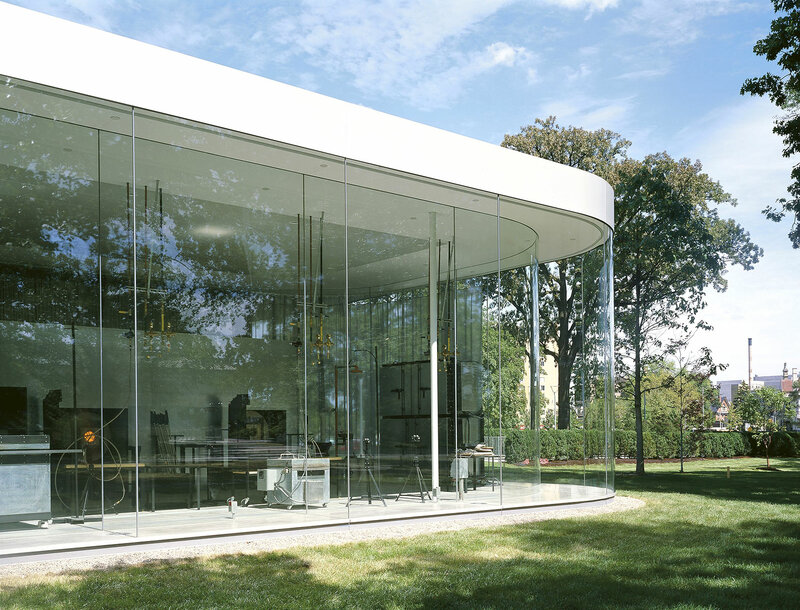 Designed by Tokyo based Kazuyo Sejima and Ryue Nishizawa, SANAA, Ltd., the Glass Pavilion is a work of art itself, providing spatial drama using a remarkable economy of means. 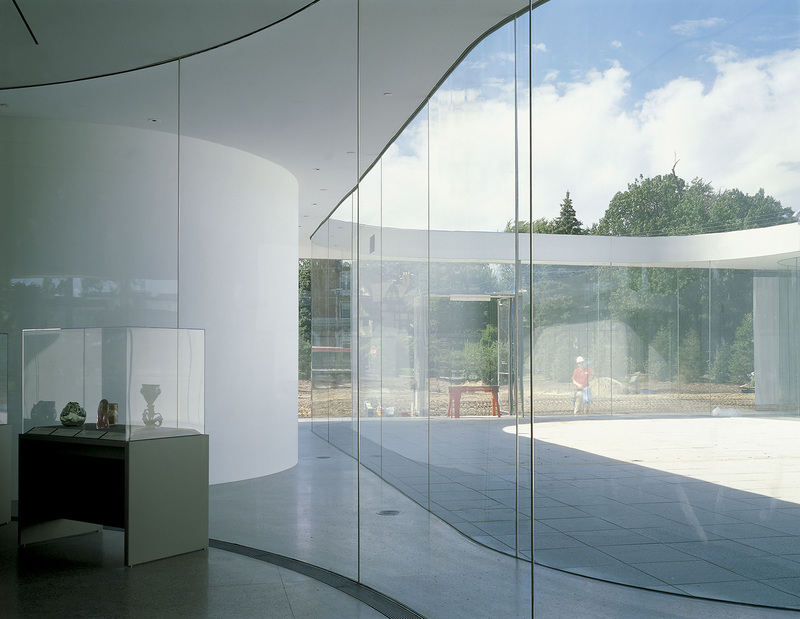 All exterior and nearly all interior walls consist of 13’ high panels of curved glass, resulting in a transparent structure that blurs the boundaries between interior and exterior spaces, creating a fluid dynamic between art and viewer. 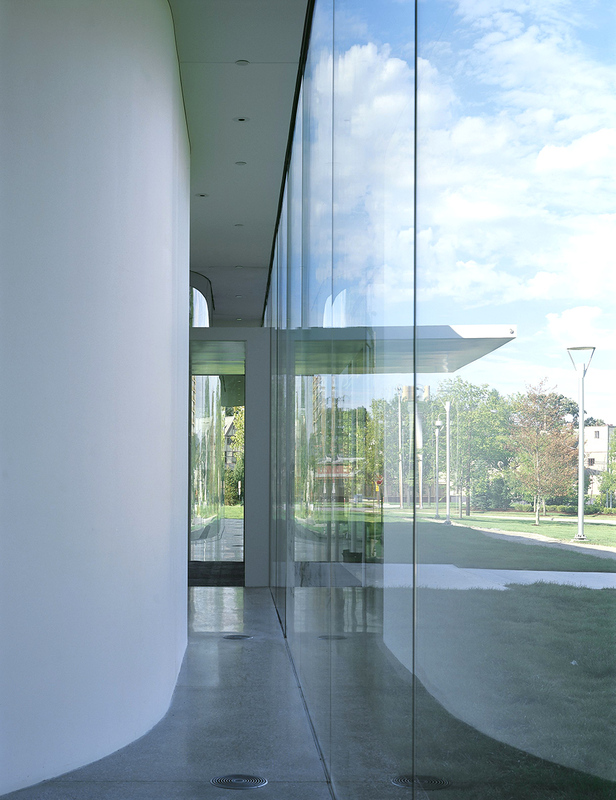 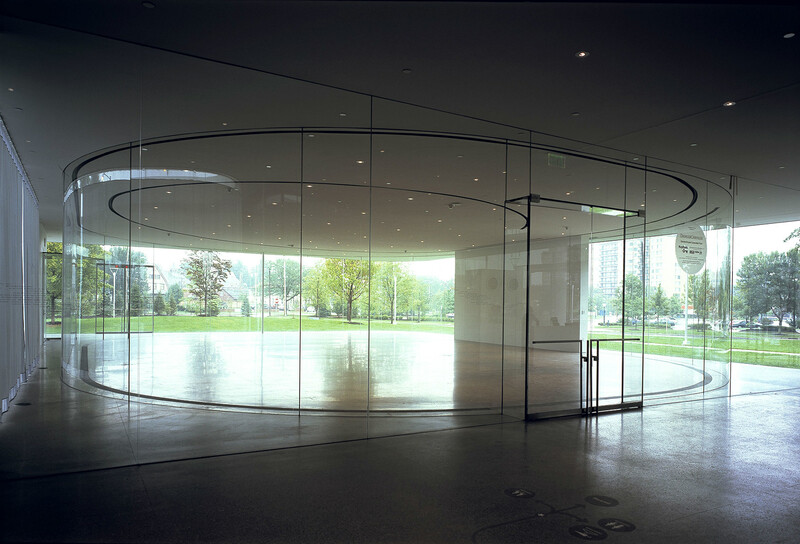 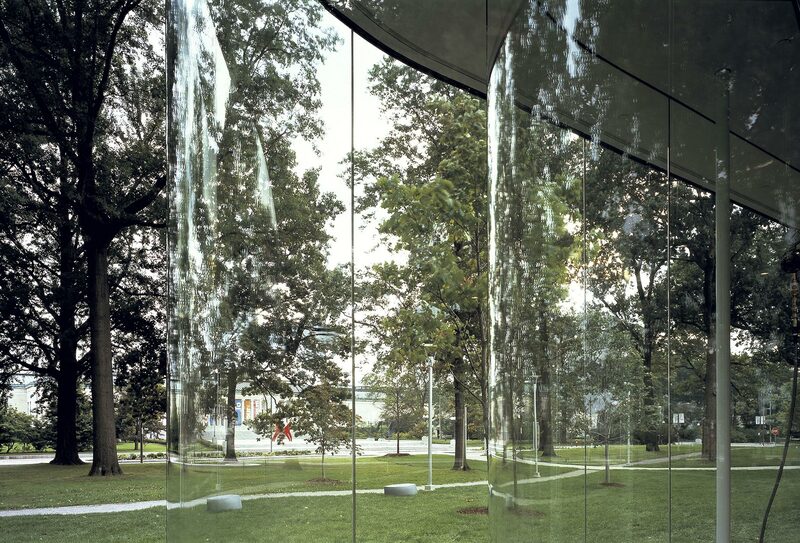 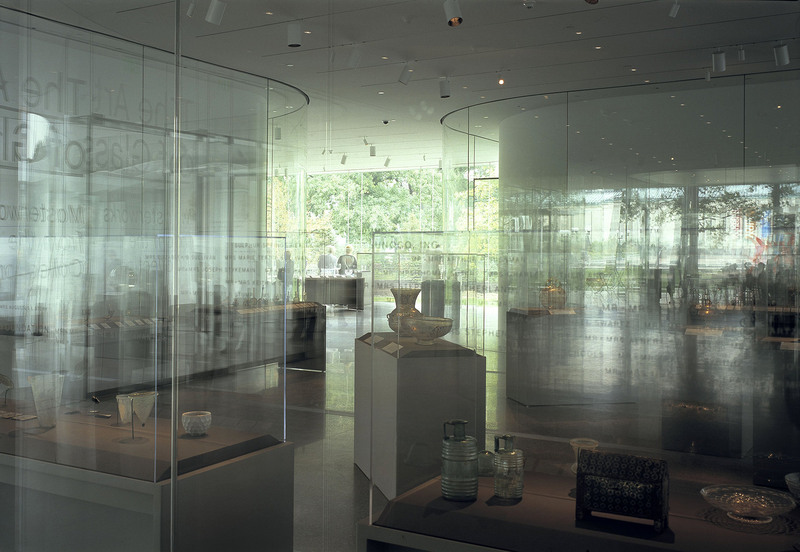 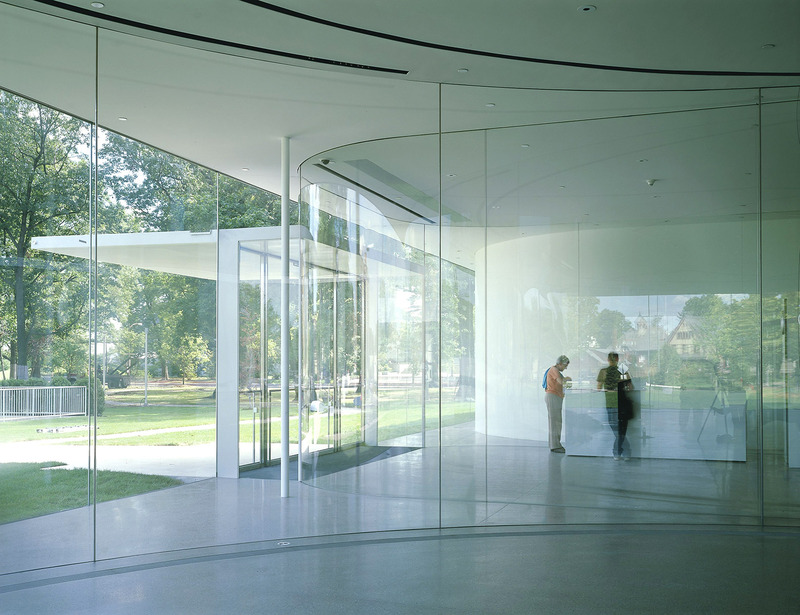 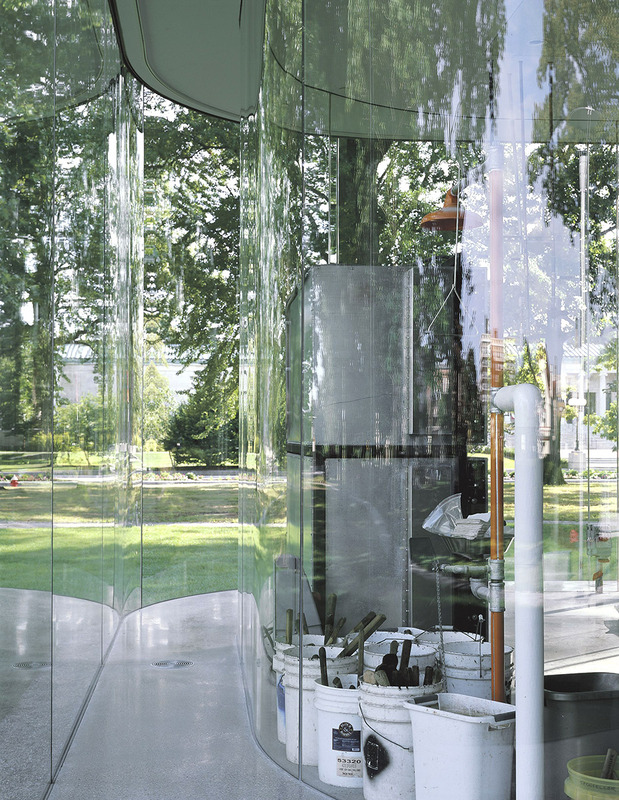 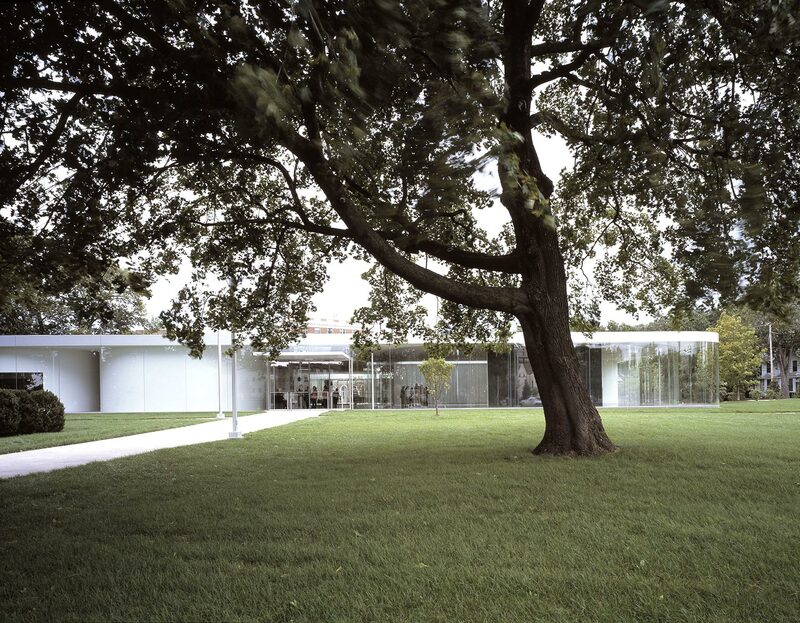 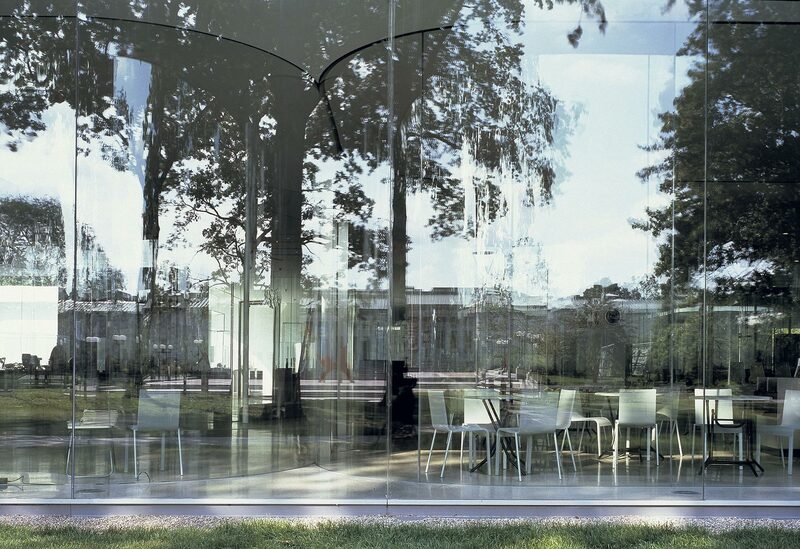 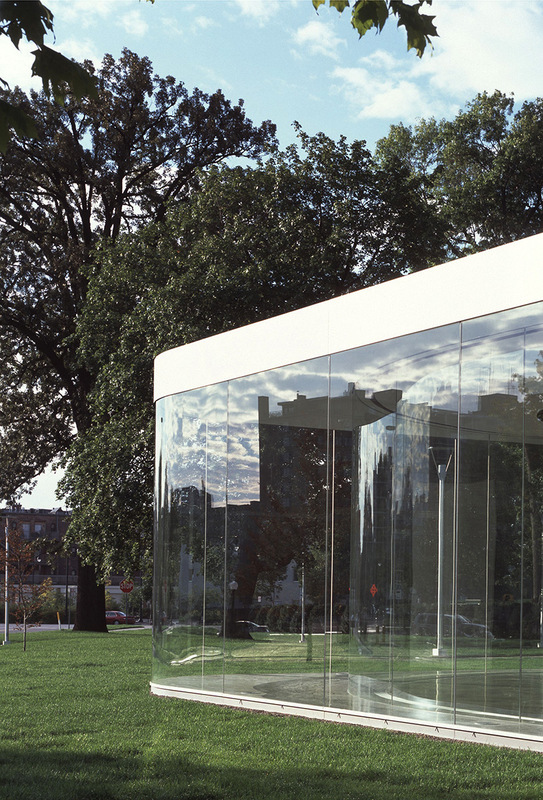 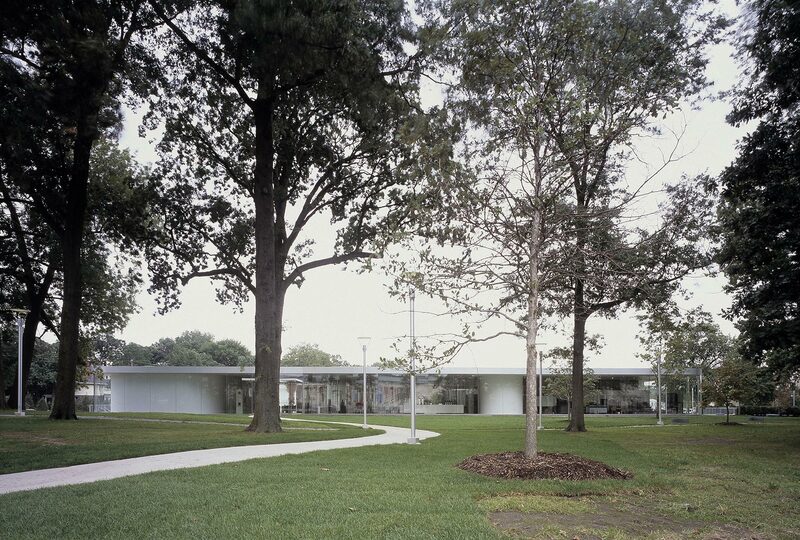 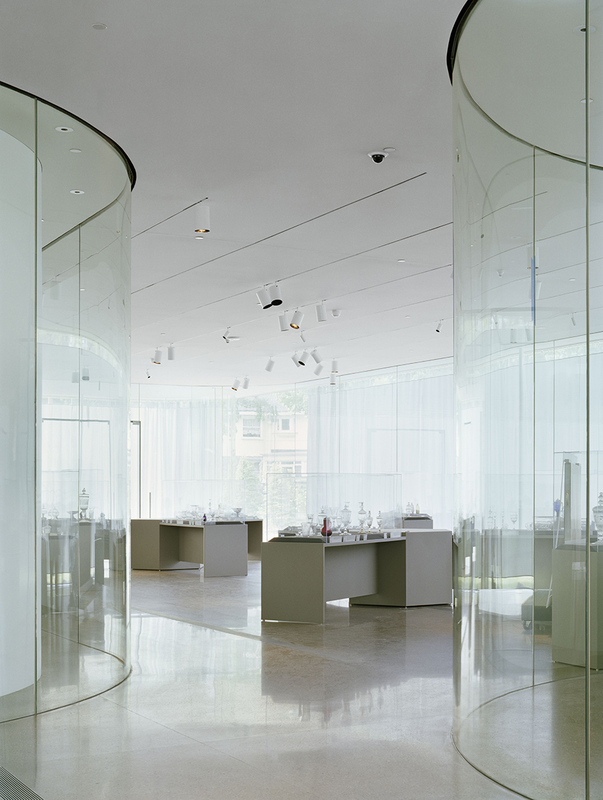 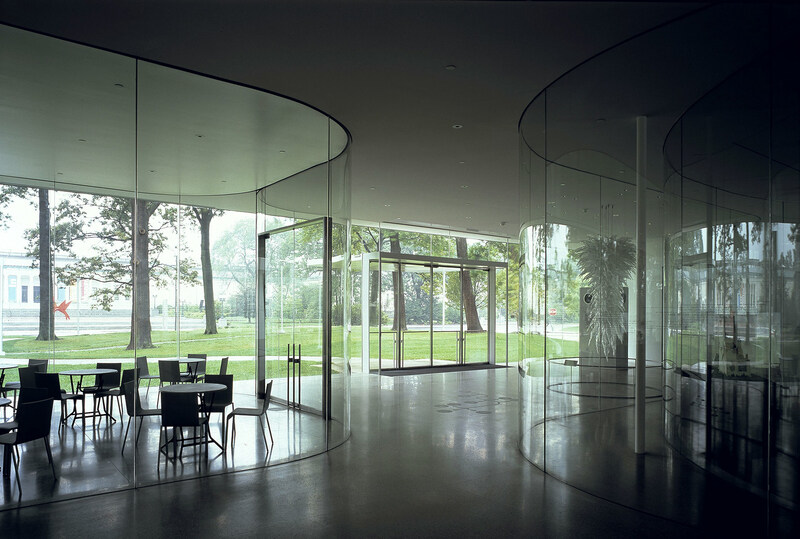 With the juxtaposition of glass galleries and two glass-making studios, the pavilion offers the viewer the unique experience of appreciating the history of glass as an artistic medium.